A new era of Starcraft 2 is here, with the release of Heart of the Swarm on March 12th, Major League Gaming(MLG) would be the first major tournament since it’s release. Last week Intel Extreme Masters held the first major Heart of the Swarm tournament, during CeBIT in Hanover, Germany. Now Major League Gaming is up to bat, with the IGN Proleague(IPL) in disarray and cancelling it’s first tournament of the year in Las Vegas, MLG is once again the reigning North American tournament, of course there is the North American Star League(NASL) whom are still trying to prove themselves. 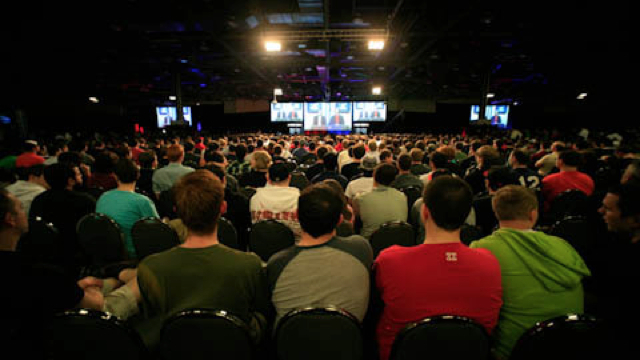 In Dallas, Texas, MLG brings together Starcraft 2: Heart of the Swarm, League of Legends, and Black Ops 2. Notably missing games are Halo 4, Mortal Kombat, and King of Fighters. Hopefully they will make a return in the next MLG event. For this event I will focus on Starcraft 2. 32 players have a chance to win $25,000, sadly these players have had only a few precious days since Heart of the Swarm’s release on Tuesday to practice. With that said this will be Heart of the Swarm in it’s rawest form. As the tournament progresses, we will see players give birth to whole new strategies and adapt instantly to them (in most cases). Lets look at two of the major story lines; KeSPA players vs eSF players and non-Korean players vs Korean players. majority of Korean professional teams not affiliated with KeSPA, in turn they are the new KeSPA of Starcraft. Finally the non-Korean players, which is pretty self explanatory. Since Starcraft 2’s release many fans have speculated that once the KeSPA players switch over to Starcraft 2 they will dominate the scene and overtake the eSF players. Since the switch to Starcraft 2 last year those speculations have been false. This will be another tournament of the old vs the new, who will prevail? 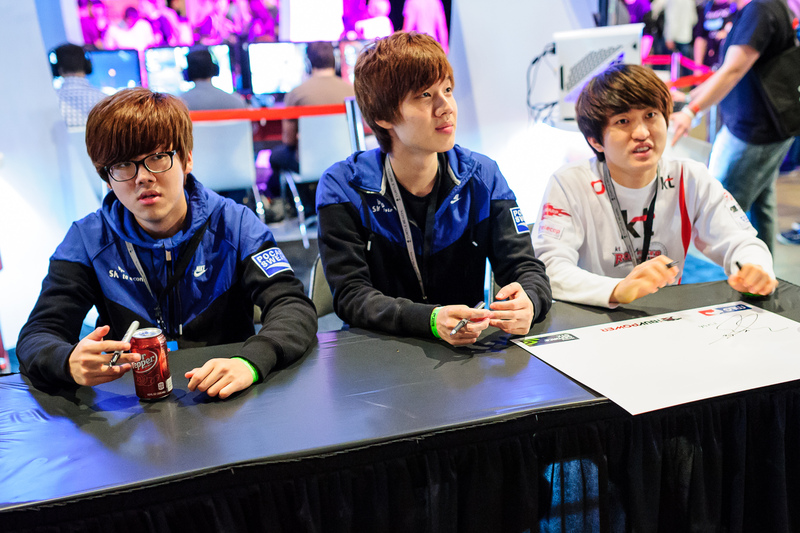 Will MLG Dallas be a turning point for the non-Korean players, many of us hope so. During the last two years of Starcraft 2 play the Korean players have flown from event to event collecting more and more prize money. Once in awhile a non-Korean player would upset a Korean player, hell once in a blue moon they would end up winning the whole tournament, but not a ton. With Heart of the Swarm leveling the playing field maybe just MAYBE we will not fall to the Korean titans. As I said the Korean players have been dominating the Starcraft 2 scene and well many of us hoped and I mean HOPED that MLG Dallas and Heart of the Swarm would be a reset button for the whole scene. Since non-Korean players are more innovative and creative, while the Korean players work on fundamentals and mechanics of the games, few of them stray from that. So I’m sad to inform you that at least on Day 1 Koreans continue to dominate, the aggregated map score for non-KMoreans against Koreans was 1-12. The player that gave any glimpse of hope was Acer.Bly who took a game off of who many call The God of Starcraft 1; KT Flash. That is not the main story of yesterday though, the main story was the one sided-ness of almost all the matches. Each match either ended in a 3-0 or 3-1. The two most surprising 3-0s were; MarineKingPrime vs NSH_Jjakji (0-3) and LG-IM Seed vs SKT Rain (0-3). MarineKingPrime was the number one player during most of the Heart of the Swarm beta, he has two MLG championships under his belt. Jjakji on the other hand hasn’t done anything since November 2011 when he won GSL Novemeber, since then he faded in and out of the scene, but he has shown life again by defeating MarineKingPrime. Seed who seem to follow in the footsteps of Jjakji, won 2012 GSL Season 3 and began to disappoint. Rain who is an KeSPA player, and was the first KeSPA player to show world last year that he is no pushover with first place finishes in OSL and the Blizzard WCS Asia Finals and now that list might continue to grow with the way he played yesterday. As we are minutes away from starting Day 2 of MLG, I hope to see some solid play and at least some closer matches. What I really hope for however is for the players I picked in the bracket contest to actually win! Are there any readers out there who watch e-sports? Any who like to watch just normal competitive streams on twitch or any other service? If there are people who are going to watch MLG, who would you like to win?